This small bronze Columbia Lion is a miniature of the large Lion monument that Roth did for Columbia University. The full-sized version was a gift from the Graduating Class of 1899, and it was installed in 1925 at Columbia University's Baker Field at 218th and Broadway in New York City, where it resides today. 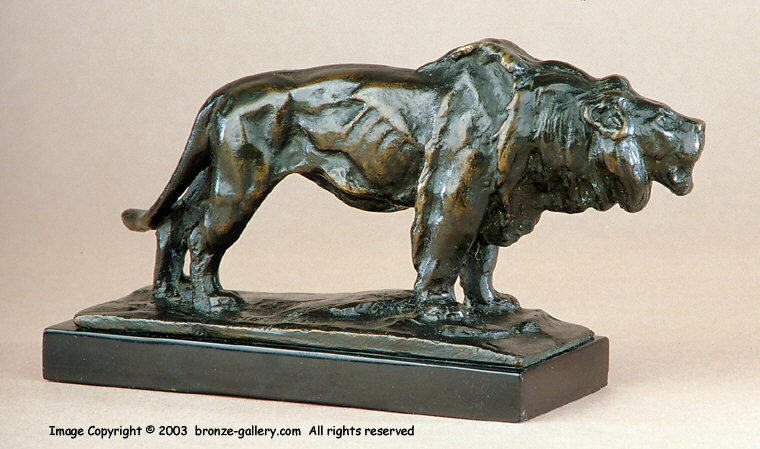 Roth was one of the best of the American Animalier sculptors working in the early 20th century and this Lion shows his talent for portraying animals of all types. 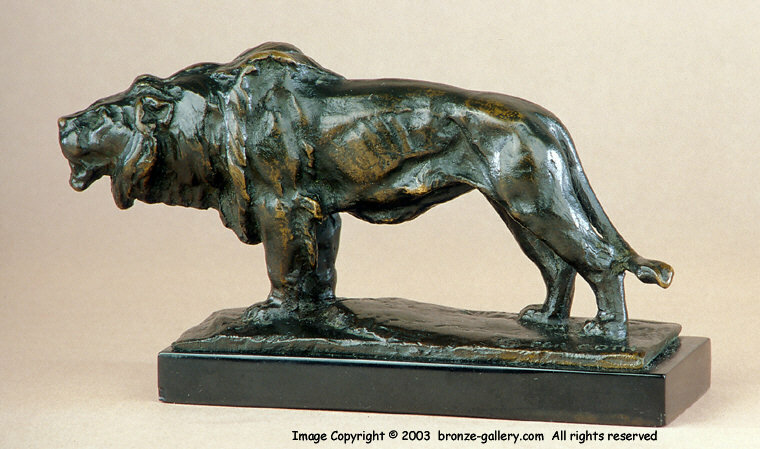 The Lion roaring is a powerful image even in this small size. He is well detailed and attached to the original black base.